Here are the Bible's best-loved stories, illustrated in full, vibrant colour. Preschoolers will love lifting the flaps to reveal the surprises hidden in every picture! With prompts for interaction in each story, there is plenty to occupy young minds. Ages 3-5. 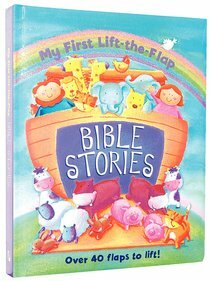 About "My First Lift-The-Flap Bible Stories"